The products of Mondo Shop are created by different artisans from around the world. We are developing direct trade with African communities, which means that all the products come straight from the artisans and their cooperatives, and this enables us to know the exact price of the products and pay the artisans a fair wage. Every day we witness how the opportunity to earn money and provide for the family raises women’s self-confidence and self-respect. Afghan products come from partners that have a long history in social entrepreneurship and who share similar values with Mondo. The Kongo village lies on the border of a desert, and has traditionally been an agricultural community. Climate change, infertile soils, and irregular precipitation make farming increasingly difficult, and families are no longer able to maintain themselves depending on agriculture. Jobs are scarce and people live hand to mouth. 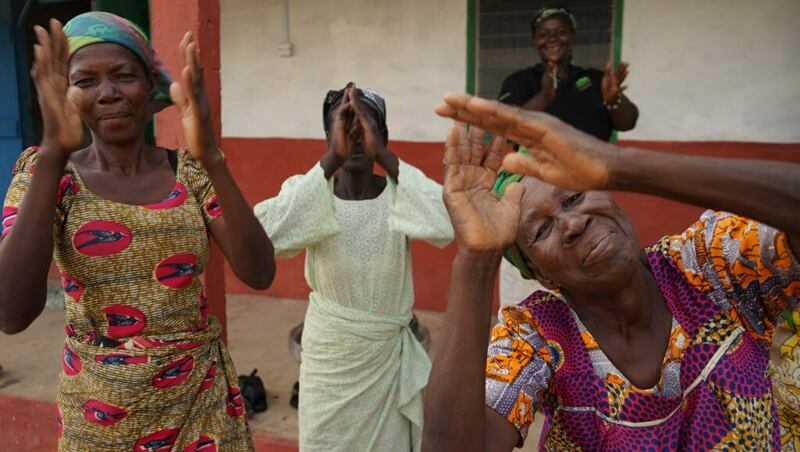 Therefore the village women are especially grateful for the opportunity to learn new skills and earn additional money. Additional income is mainly invested in children’s education and in a diversified diet. Monica, a devoted basket weaver, has been able to install an indoor plumbing system into her house thanks to Mondo – this is something that makes the whole family very proud! The Kongo Community Developlent Widows Association manufactures the shea butter we sell at Mondo. Every woman in the Kongo village can make shea butter, but with the development assistance from Mondo and the Republic of Estonia, a shea butter manufacturing centre has been established in the village, and this enables to produce and package large amounts for export. Currently, there are around a hundred active women in the association. The Yen Pang Basket Weavers Association was established in the Kongo village in 2014, when Mondo offered the women of the village an opportunity to learn basket weaving. The association, that initially had 8 members and started from under a mango tree, has by now grown double in size, and with the help of Mondo the women have a small facility to come together and weave baskets. In 2015, they sent 350 baskets to Estonia. Around half of the weavers are widowed women, whose position in the society is low, and the majority of the women are illiterate. In the fall of 2014, Triin Kordemets went to the Kongo village as a volunteering designer for Mondo. A year later, Anne-Liis Leht visited the Kongo village with the same purpose, and the baskets we sell are born out of their cooperation with the local artisans. Some of the sewn goods sold by Mondo are made in the Kongo village. One of the few initiatives of small business the women of the village engage in is, in fact, sewing – the village centre is full of ateliers, where the locals have their formal clothes made. Georgina, Constance, Lariba, and Pufaba are the seamstresses that Mondo buys its sewn goods from. In addition, 4 young girls who have dropped out of middle school due to pregnancy at a young age, or because of family poverty, are apprentices of Georgina with the help of Mondo. All Mondo products from Uganda are made by 5 young women, who move around in wheelchairs. They act under the name of Kampala Disabled Initiatives, and they own an atelier-shop in Kampala, the capital of Uganda. NGO Mondo and development assistance from the Republic of Estonia contributed to the establishment of their initiative. 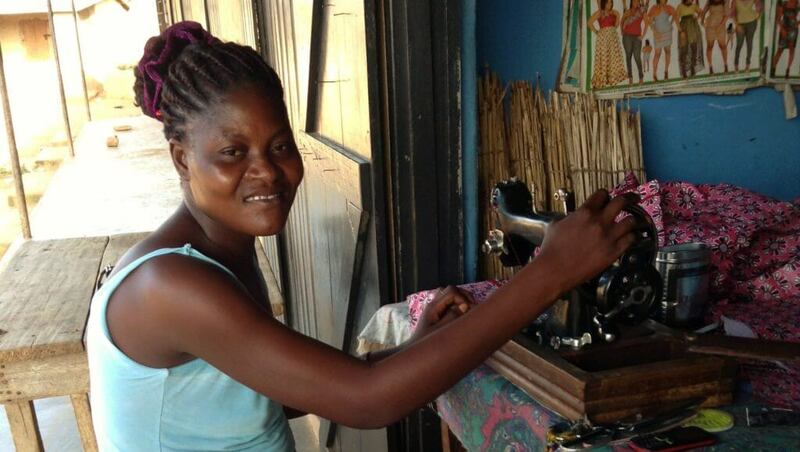 One of the seamstresses of KDI, Night Nalwoga (35) has said that she truly enjoys working at the atelier, because it has a great atmosphere and it gives her the feeling that she and her colleagues are “doing their own thing”. Night says that the association has taught the women to support and trust each other, work hard, and be more independent. During the years 2014 and 2015, designer Liina Viira was assisting the women in Kampala, and their cooperation has led to the development of several KDI products. 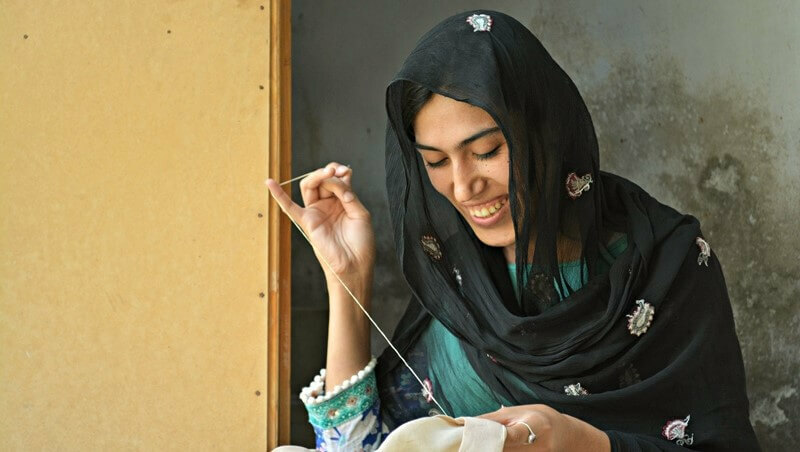 Zardozi, meaning “golden embroidery” in Persian, was established almost 30 years ago to offer an opportunity to earn a living for war refugees that arrived in big numbers from Pakistan to Afghanistan at that time. Today, thousands of Afghan women living in the rural areas of East Afghanistan and in the refugee camps of border areas earn a stable income through Zardozi by embroidering and making handicrafts. 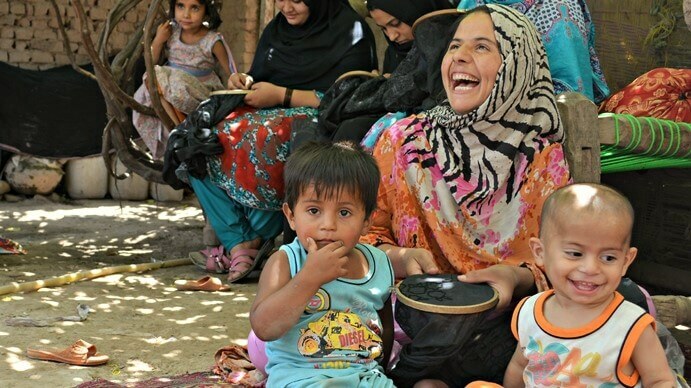 Personal income gives the women a better position in the family and the community, and enables them to receive medical care and educate their children. NGO Mondo is marketing the products of Zardozi in Estonia to support Afghan women’s entrepreneurship and better welfare. The handcrafted goods of the Afghan company named Silk Road Bamiyan are made by artisans from Dragon Valley, a rural area in Afghanistan. Making embroiderings on hand-loomed garments, and teddy bears in national dress help the women of the war-ridden state to preserve artisan skills and earn an income. NGO Mondo shop is open Mon-Thu 12-17 at our office in Telliskivi Creative City. We are located in the courtyard, opposite of the entrance of the Vaba Lava theater. Should you wish to visit the store at another time, call us in advance! Mondo store is also present at different fairs and festivals. Follow us on Facebook to stay tuned!